Smile and Laugh All Day Long." "When You're Smiling... The Whole World Smiles Back." 1. 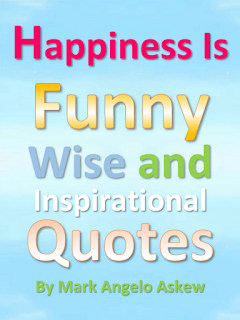 Think: Consider What Happiness Is To You! 2. 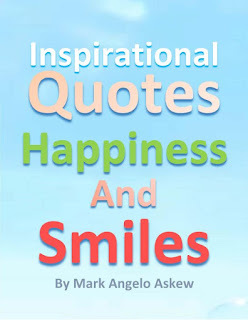 Discover: Find Out What Makes The Person Next To You Happy! 3. Act: Make Someone Happy Before The Day Ends. 4. Play The Happiness Music Playlist. 5. 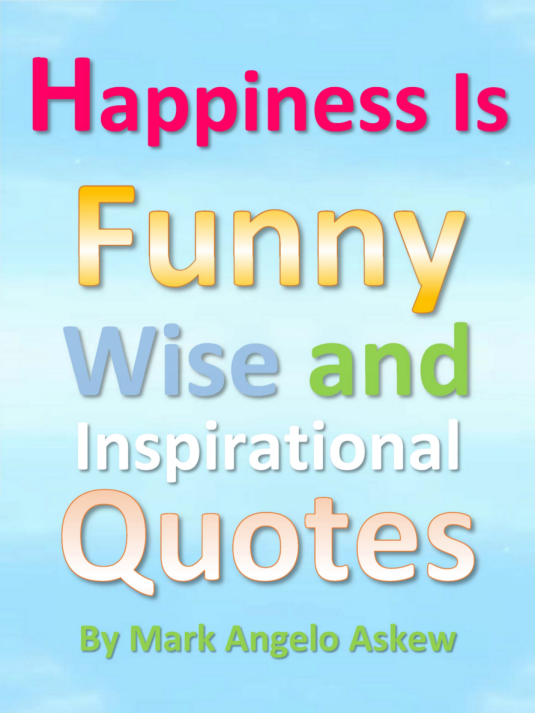 Read The Happiness Is Quotes Book To Someone. Happiness Playlist: Some of the most popular songs ever written were on the subject of happiness. Checkout the happy music list and music video playlist below. Get your happiness on and share with the people sitting next to you. "Don't Worry, Be Happy", "Happy People", "Cause I'm Happy", "Love And Happiness", "Oh Happy Day", "You Made Me So Very Happy", "Good Vibrations", "Feeling Groovy", "Groovin", "Groovy Kind of Love"
Need Ideas, Inspiration, and Happiness Quotes? Happy family reunion planning! 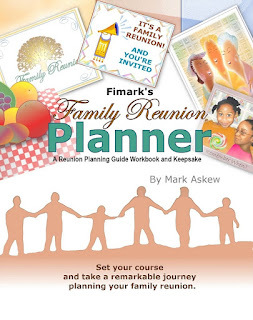 To make your planning easier get the popular family reunion planning organizing and managing book. Good News! You're invited to get 20% off using discount code 74SZDP7G . Just go to https://www.createspace.com/3601499 and enter the code before checkout. What's Full of Family Jokes, Quotes, and Rhymes with a Family Reunion Planning Checklist? 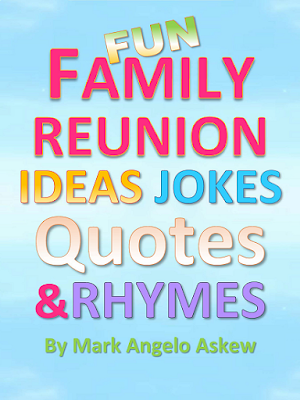 Announcing the Release of Our New Book - "Fun Family Reunion Ideas Jokes Quotes & Rhymes" by Mark Askew. Get it now on Kindle at Amazon.com. Free on Kindle Unlimited. 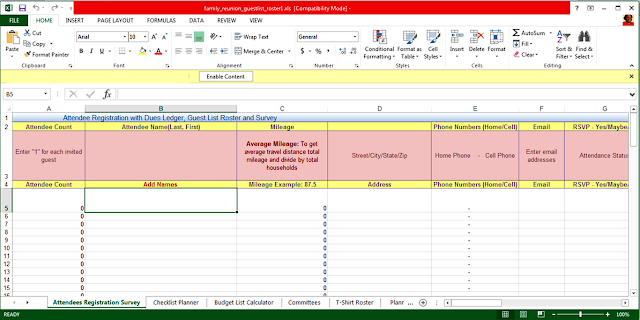 The Family Reunion Planner Spreadsheet Workbook is a database for entering contact information and t-shirt orders. In addition, easily enter survey data and tally up top picks. Transform surveys into charts for committee meetings and newsletters. Also, enter committee members and departmental assignments. The Roster is accessed on the Attendee Panel. 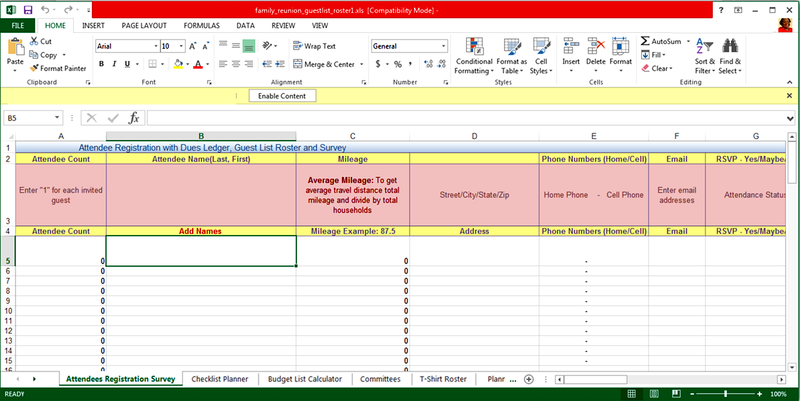 When uploaded to Google Docs the Family Reunion Planner Spreadsheet Workbook can be edited in real time from any online computer. This database can be downloaded from Fimark's Family Reunion Planner Social web app or from our homepage at http://family-reunion-planner.fimark.net. 7. Committee Members, Contact Info, Assignments, Other. It's March 2017. Time to wrap up family reunion T-shirt orders. 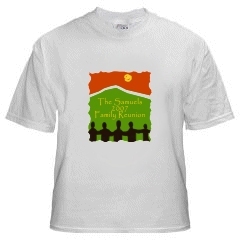 - Looking for pre-designed family reunion t-shirts? Just add your surnames and event year. Families can purchase shirts from their own computer individually. No need to collect orders! Go to http://www.zazzle.com/zzibcnet, select the shirt, add text and order. Get 15% Off with Coupon Code: ZAZFLASHSAVE.